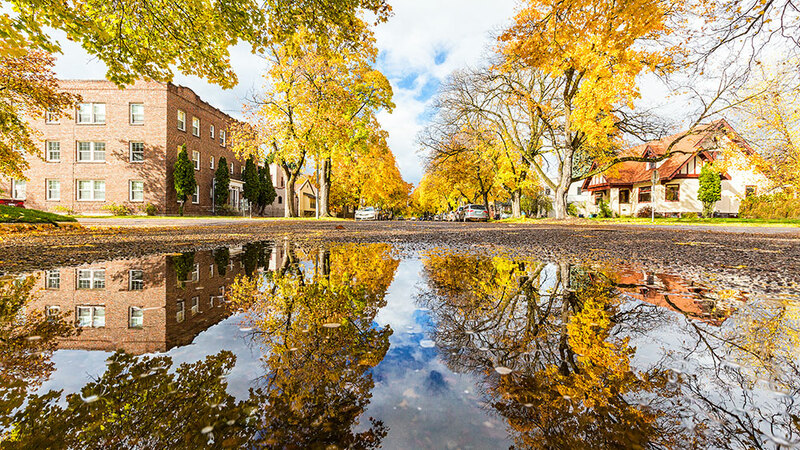 As the leaves begin to change and the air takes on an invigorating crispness, residents of Missoula, Montana don a few extra layers and hit the outdoors – they know not to let a few drops in degrees stop them from enjoying all that this river town has to offer. 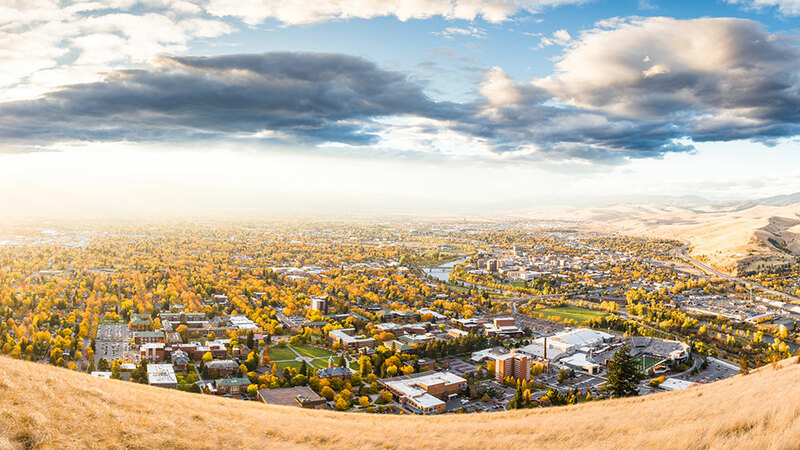 Located in Western Montana, the City of Missoula and its surrounding area is home to about 100,000 Montanans. 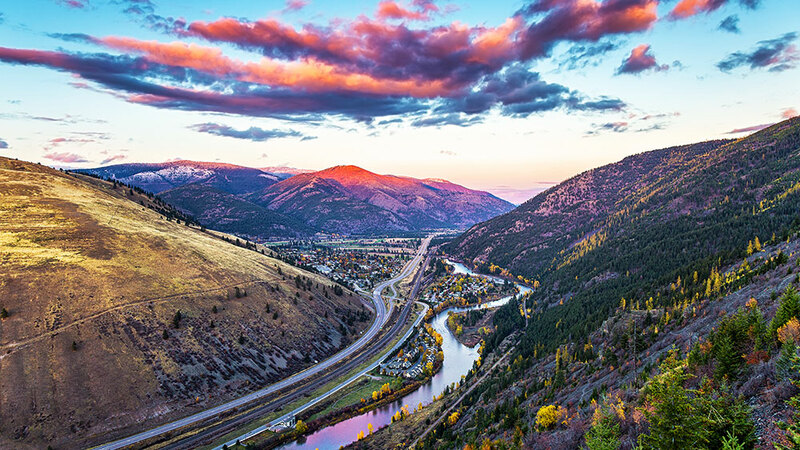 The inspiration behind the novel book A River Runs Through It, the city is divided down the middle by the bustling Clark Fork River, which swells in the spring months before relaxing to a mellow flow in late summer and fall. While you’re here, you’ll undoubtedly find yourself seated next to a handful of the city’s some 10,000 college students. So, grab your favorite book and snuggle inside a booth for an afternoon of leisure. Snaking alongside the Clark Fork River, Missoula’s Riverfront Trail runs about 3.5 miles north and south through the center of town. This wide-length dirt path is perfect for leisurely walking, running the dog, or taking a scenic waterfront bike ride through town. Along the way you’ll find several riverfront parks, playgrounds, sports fields, and a number of Missoulians enjoying their time outside. Mount Sentinel borders the university to the north and offers a quick, yet steep hike with sweeping views of the cityscape. More than a century ago, the university Forestry Club carved out the three-quarter mile long zigzag trail up the mountain, carrying stones to shape a giant “M” at the top. Nicknamed “The M” by locals, the landmark letter has been replaced over the years with wood, larger stone, and ultimately concrete. This hike is a favorite for Missoulians looking to get a quick bit of exercise or to catch a birds’-eye view of the entire Missoula Valley, its winding rivers, and distant mountains. One need not travel far through the city of Missoula before coming across a few hardy UM grizzly college football fans. Missoulians take the game seriously, and it’s no more evident than when watching waves of maroon-clad football fans mob through the city on game day. Rain, sleet, or snow, UM “Griz” fanatics crowd Washington Stadium every Saturday home game until mid-November. Be sure to get to the game early – Missoulians know how to party and are sure to invite you to join in on their tailgate shenanigans before kickoff. Just outside of the Missoula city limits are several natural hot springs offering the perfect refreshing outdoor getaway on a cool fall day. Commercially-run locations with man-made pools include Quinn’s Hot Springs, Lost Trail Hot Springs Resort, and Lolo Hot Springs. Here, expect to pay a few dollars and wait awhile if it is a busy day. If you’re looking for something a bit more off the beaten path, Jerry Johnson and Weir Creek hot springs are located just under two hours from the city. Both of these naturally-formed hot spring pools are just across the border in Idaho and require a bit of a hike to access. Located in the remote Nez Perce-Clearwater National Forest, cell phone service is spotty out here so be sure to make any arrangements for directions or other needs beforehand. With a bustling agricultural community, the Missoula Farmers’ Market features a wide collection of locally grown produce, grass-fed meat, artisanal cheese, wild honey, baked goods, vibrant flowers, and pasture-raised eggs. The market runs every Saturday from 8am to 12:30pm in October and features live performers from 9am to 12pm. 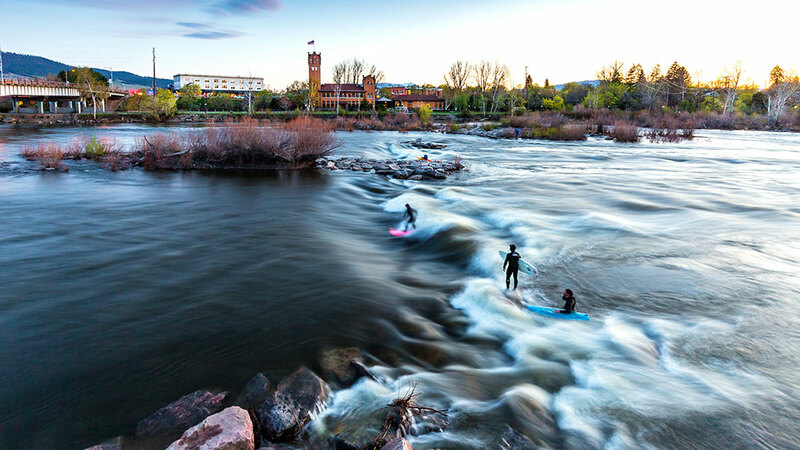 Whatever your reason for visiting the Garden City, Missoula is a place bound by community. 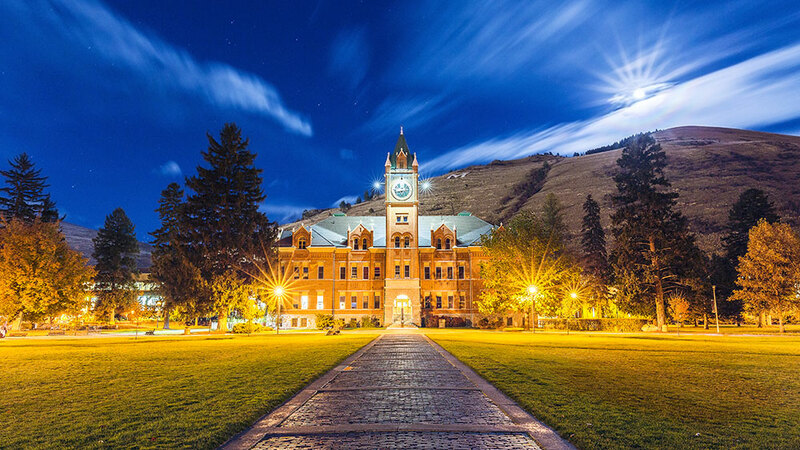 Although it is one of the largest cities in the Treasure State, it’s small-town vibes will make you feel a part of the community in no time.